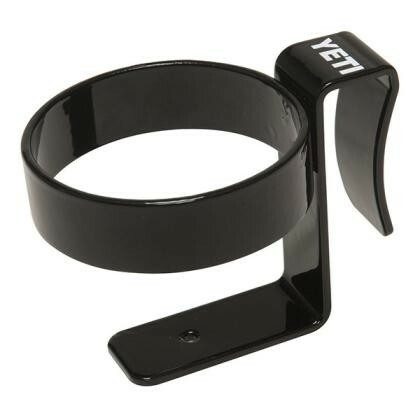 Great for river trips, camping outings, or tailgates - the YETI® Beverage Holder mounts to the side of your YETI® Cooler and serves as a secure and convenient caddy for your frosty beverage. Ordinary ice chests often include shallow cup holders in the lid, a feature which is impractical to use when you're having a good time with friends. This heavy-duty, powder coated stainless steel version slides securely into the AnchorPoint™ Tie-Down slot of your YETI® Cooler, allowing for easy access to other cooler contents or grabbing a cold-one for a friend. Fits YETI Tundra Series Coolers.